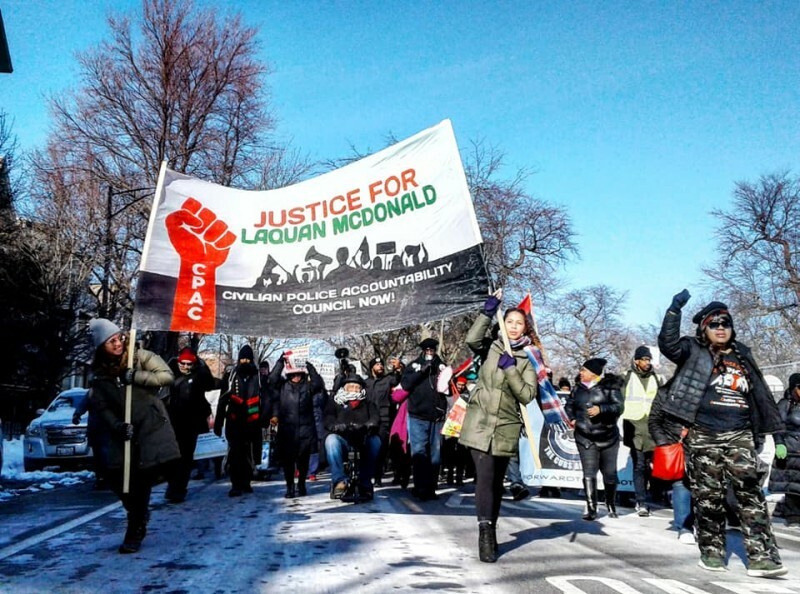 Marchers condemn lenient sentence in Laquan murder | Fight Back! 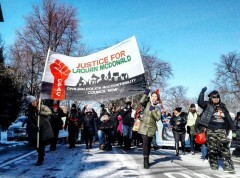 Chicago, IL - A crowd of 250 people marched in the bitter cold through Washington Park on Chicago’s South Side today, January 21, to continue the fight for Justice for Laquan McDonald. The march was held in protest of the lenient sentence of only 81 months handed down by Judge Vincent Gaughan on Friday. In October 2014, the racist police officer, Jason Van Dyke, shot Laquan 16 times. The main demand of the march was the immediate implementation of an all-elected Civilian Police Accountability Council (CPAC). The march went past the place where Ronald “Ronnieman” Johnson was shot in the back by a cop only days before Laquan was killed. His mother, Dorothy Holmes, spoke and demanded State’s Attorney Kim Foxx reopen the case of the killer cop, George Hernandez. Tanya Watkins of Southsiders Organized for Unity and Liberation closed the march by explaining that the CPAC legislation would establish community control of the police. CPAC has the support of 75 candidates for city council and two candidates for mayor. She condemned the corrupt members of the city council who voted in 2015 for the hush money to cover up the murder of Laquan, at the direction of Mayor Emanuel to secure his reelection. There were several people running for alderman who joined the march, as well as mayoral candidate Amara Enyia.